A beautiful Gents Folder by Vernie Reed. 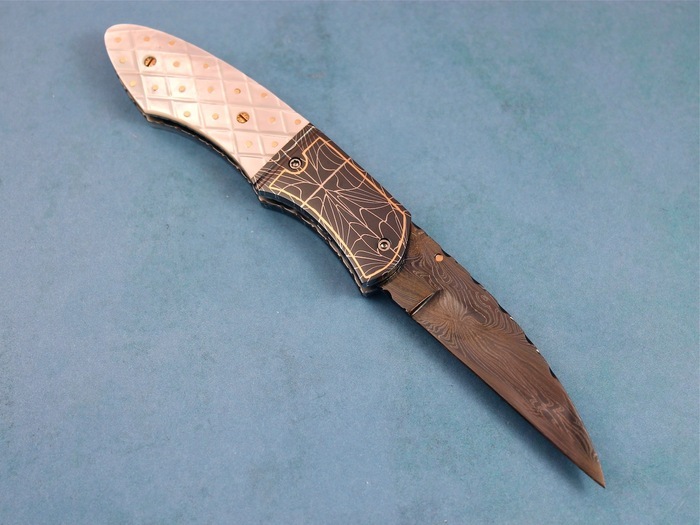 This knife has beautiful Blued Damascus blade and bolsters. 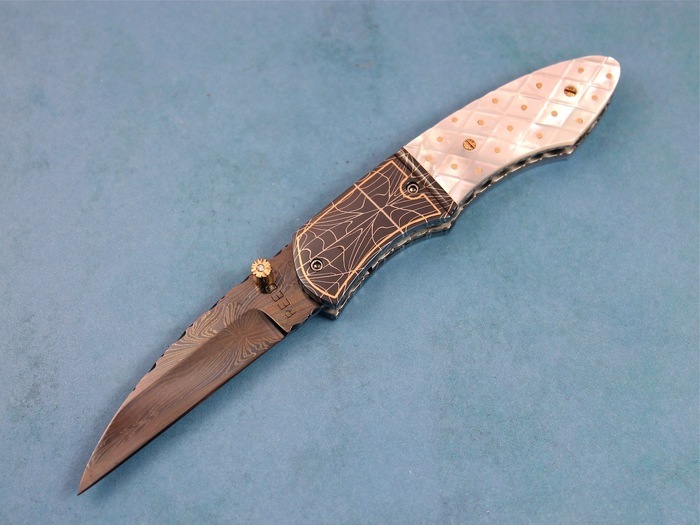 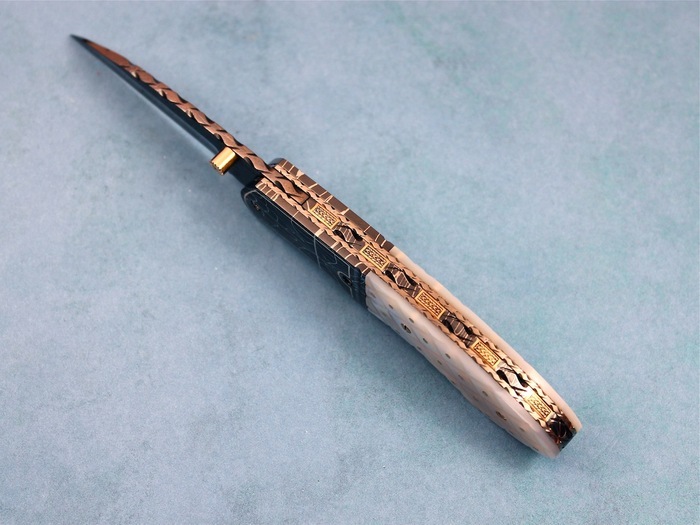 It also has amazingly vivid Piqued Mother Of Pearl handle with Gold pins. 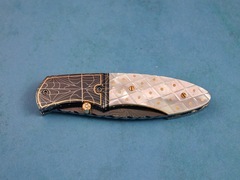 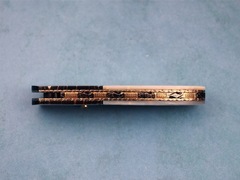 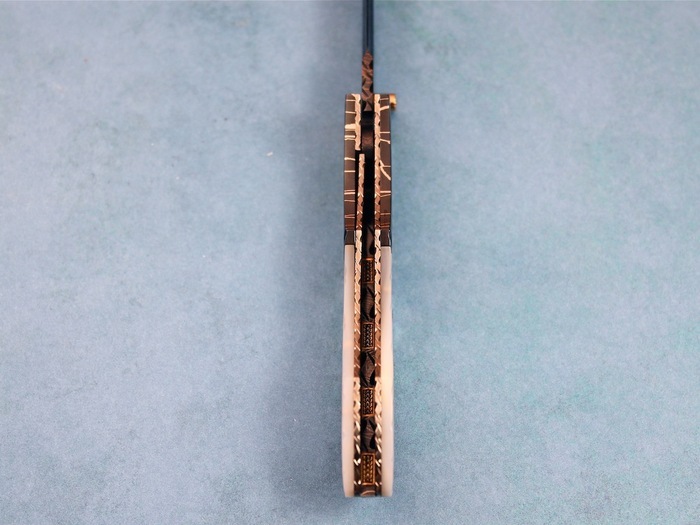 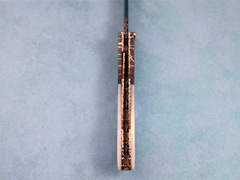 The spine has Gold Inlays, and the opener is gold with a Diamond chip in the center. A beautiful little knife.